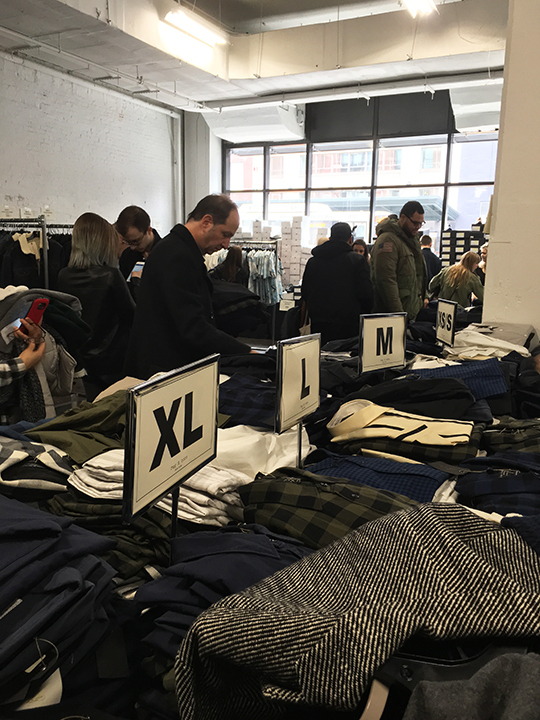 The go-to brand for the coolest of the cool, fashion's favorite urban label Rag & Bone is bringing back their popular sample sale this week to the Meatpacking District. 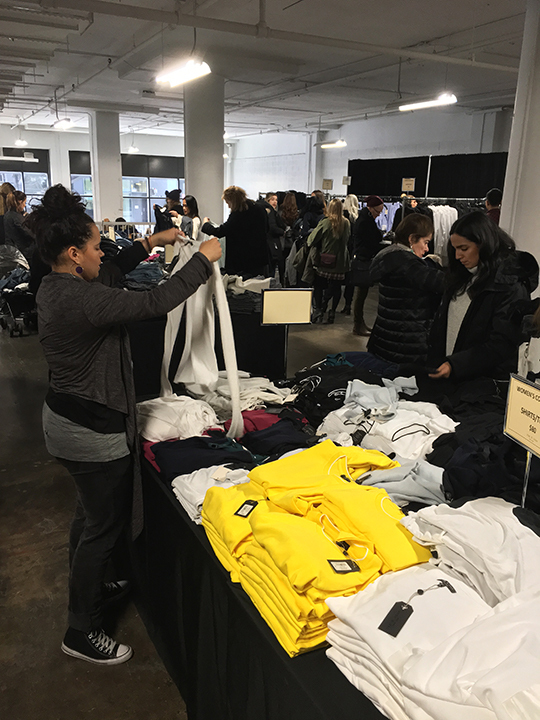 The company's bi-annual event is no longer a stranger to New Yorkers, but this time around, they are shaking things up a bit by hosting their December shopathon at a new location (459 W. 14th Street). 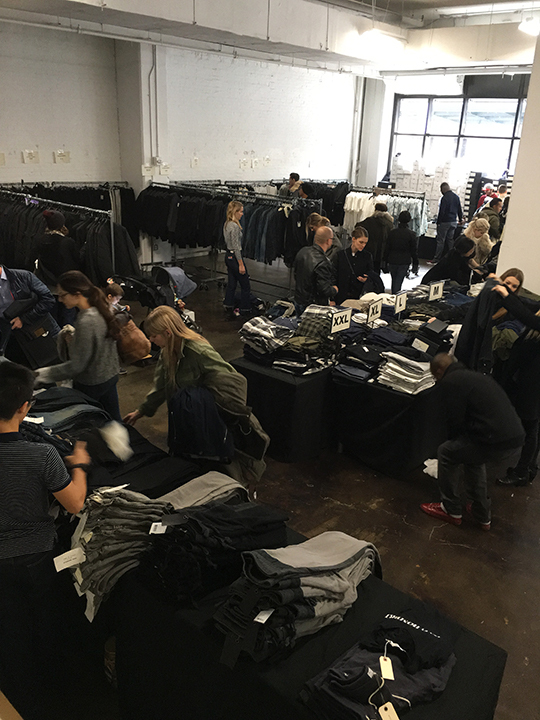 With a large mob of F&F shoppers swarming inside, the sale was off to a busy start this morning when I dropped by. So, what should you stock up on at this week's sale? You'll find womenswear, menswear, shoes, bags, and accessories at discounts of up to 60% off. 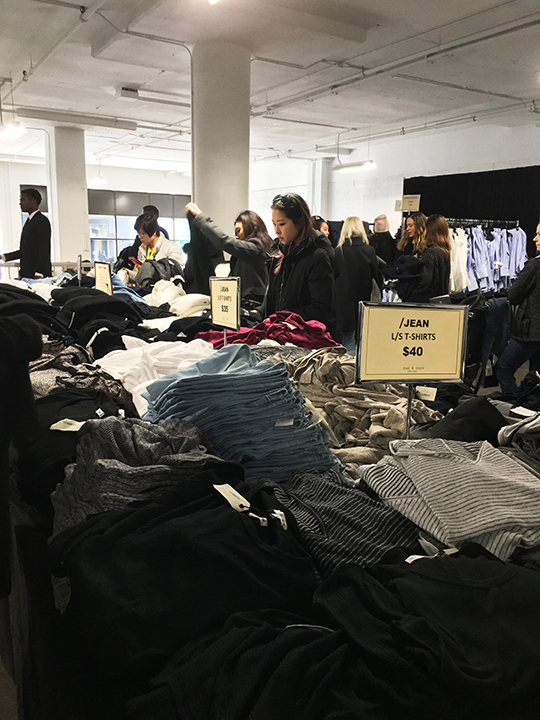 The markdowns at this near-weeklong sample sale haven't changed much from Rag & Bone's previous sales, but I have to say their new venue really helped improve the shopping experience. 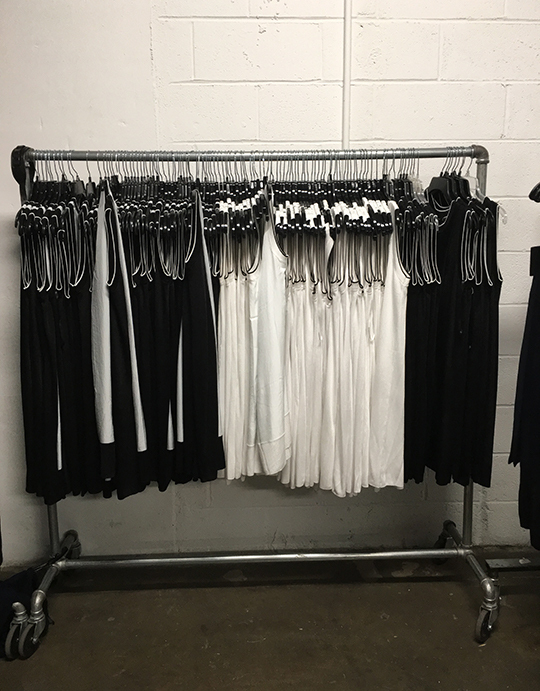 The inventory was organized in a better fashion and the space was much more airy which made the crowded aisles way more tolerable. The layout of the space was pretty straightforward. 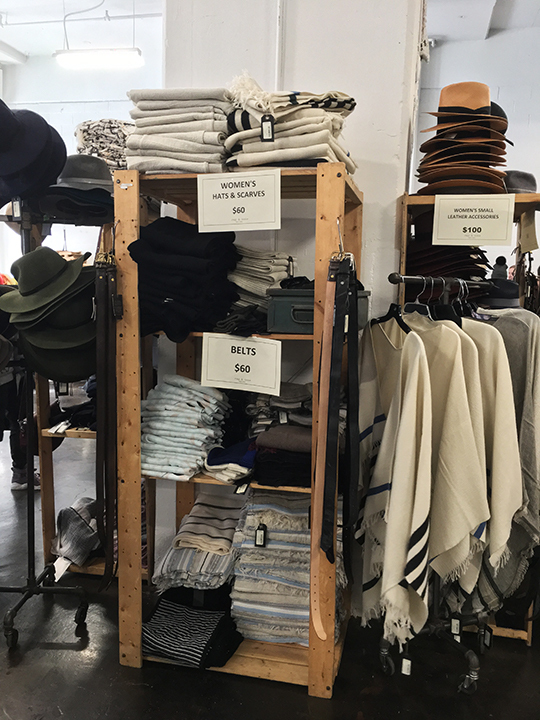 There were two separate levels with womenswear and women's shoes placed on the upper deck while menswear, men's shoes, and accessories for both genders set up on the lower floor. 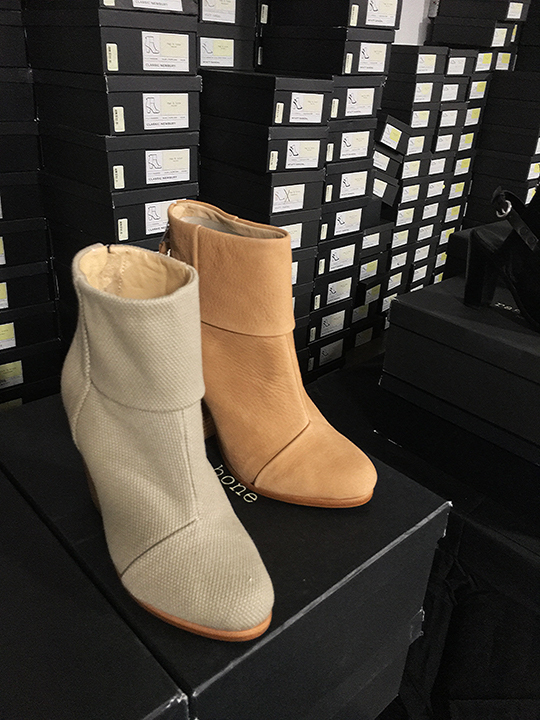 I headed to women's shoes first to see if there were any changes. 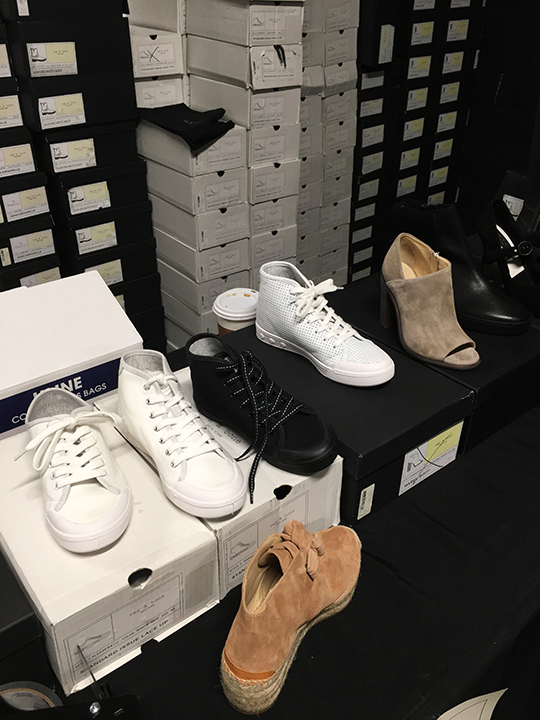 Prices on women's shoes were the same as their last sample sale in July. Boots were $225, heels were $175, flats were $125, and sneakers were $59. 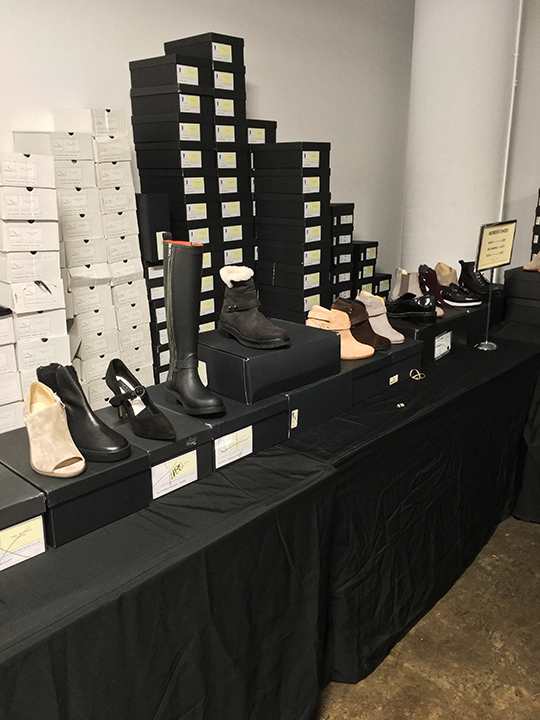 As far as the selection goes, I spotted Standard Issue sneakers, Mabel boots, Glenna Mary Janes, Ashby ankle boots, Harrow boots, Anton loafers, Classic Newbury boots, Wyatt sandals, Wyatt mid heels, Kent sneakers, Sabine loafers, and rain boots. Women's apparel consisted of outerwear, dresses, sweaters, pants, skirts, tees, shirts, and jeans. 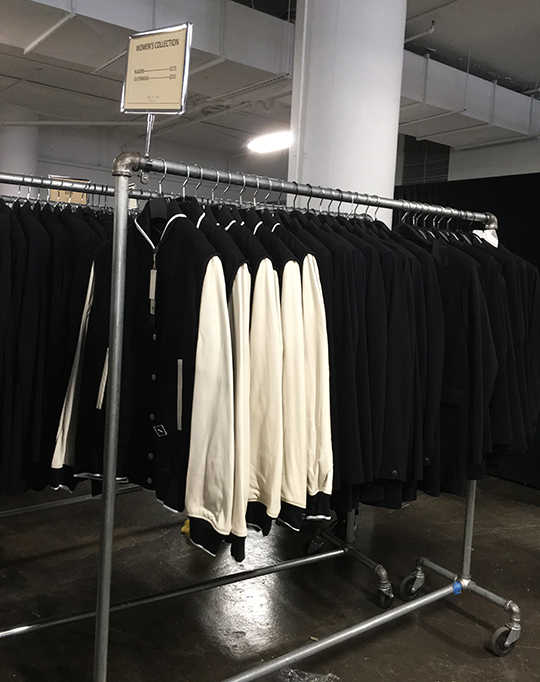 During my exploration, I found items from Spring to Pre-fall '16 such as the Blaine top, Blankett coat, Edith varsity jacket, Kacy tunic, and Sandra sweater. 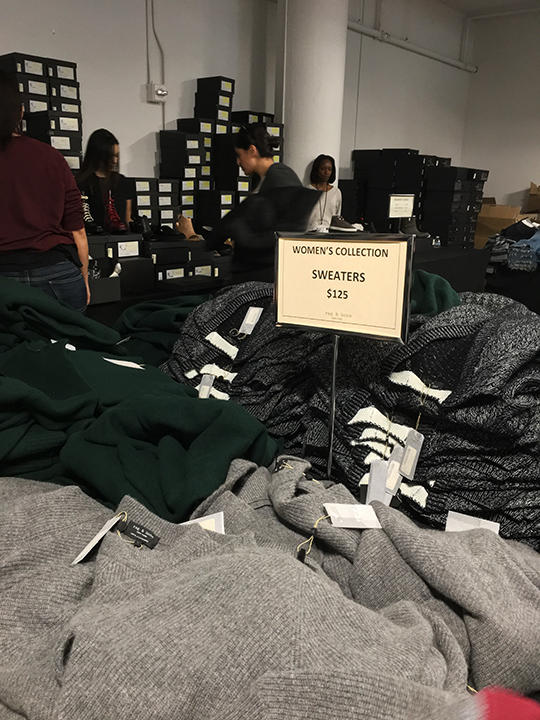 For collection items, prices ranged $175~$250 for outerwear, $85 for skirts, $150 for pants, $80 for tops, $125 for sweaters, $175 for dresses, and $85 for jeans. 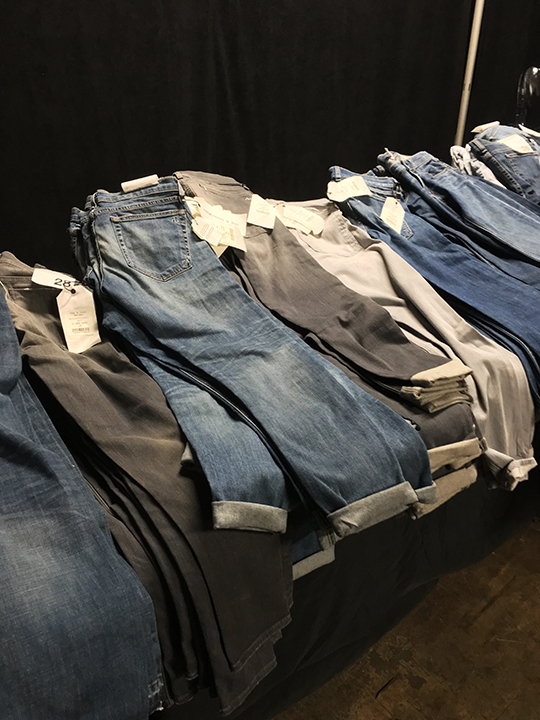 In addition, pieces from Rag & Bone's lower-priced /JEAN line were priced between $35 and $300. 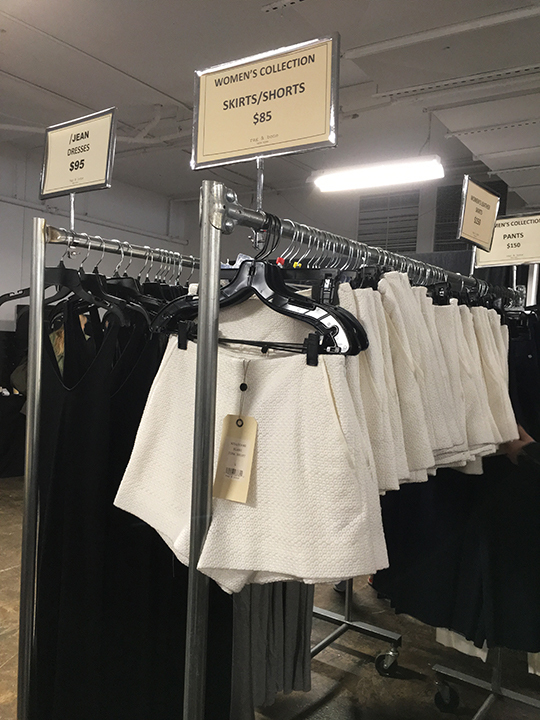 As for sizes, I found sizes XXS through L (00-12) but most of the inventory was comprised of smalls and mediums. 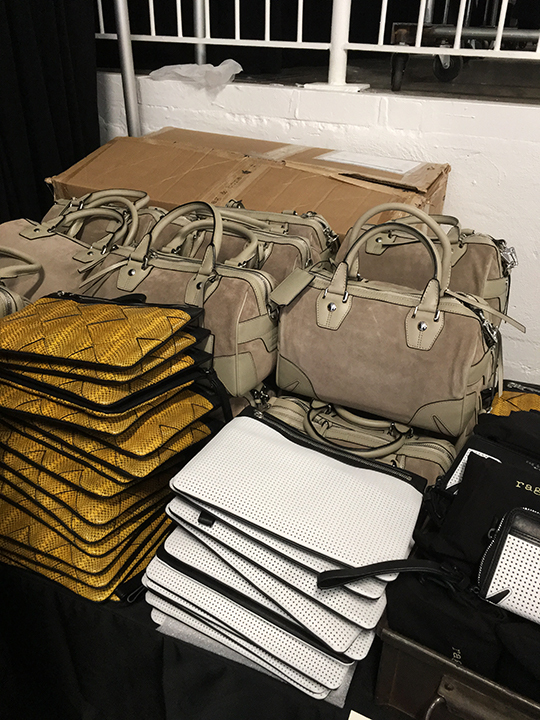 Moving downstairs, accessories such as handbags, hats, scarves, wallets, and belts were up for grabs. 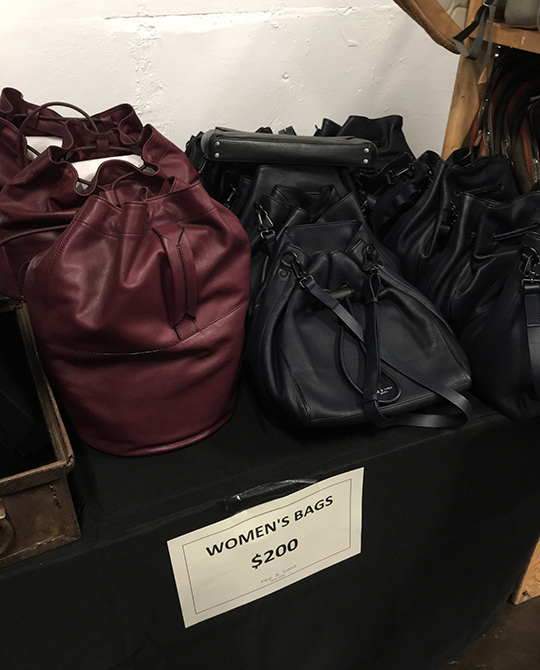 For women, bags were $200, belts & scarves were $60, and SLGs were $100. 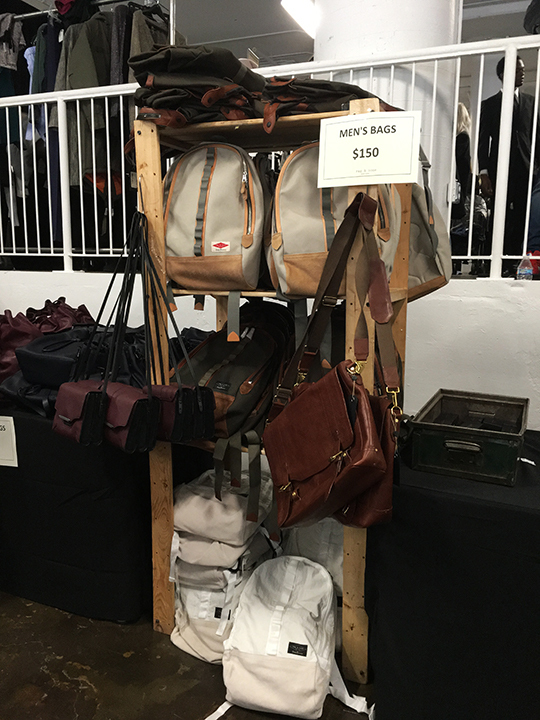 For men, bags were $150, wallets were $50, and hats & scarves were $50. 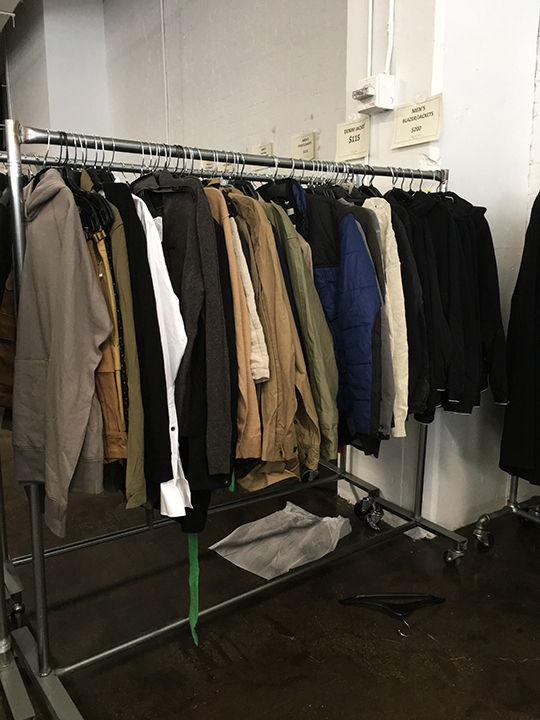 Last but not least, menswear and men's shoes were placed on the right side of the entrance. 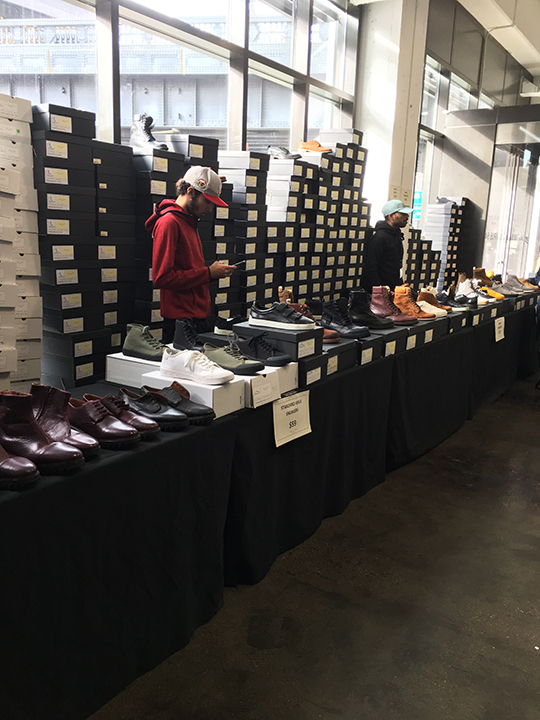 Here the merchandise consisted of outerwear for $150~$275, shirts for $100, tees for $35, pants for $115, suits for $250, jeans for $85, SI sneakers for $59, lace-up sneakers for $125, and boots for $225. 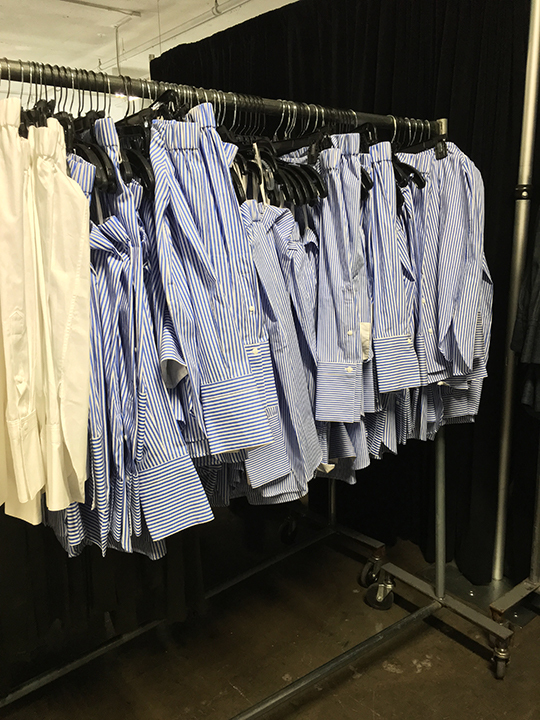 Sizes for men ranged from XS through XL. 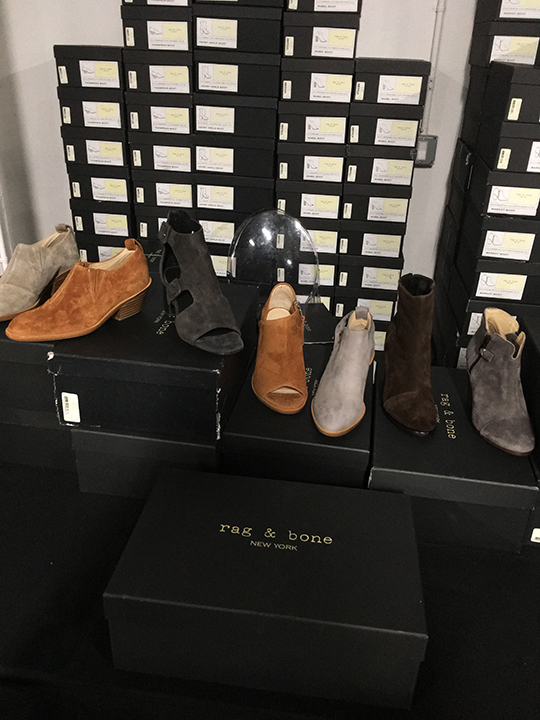 If you're dying to don some of Rag & Bone's signature effortless chic goods, you might find this week's sample sale to your liking. However, if you're a big bargain hunter looking for top holiday deals, you'll most likely come out disappointed. If you're not either and are still not sure whether to go, take a look at the photos and full price list below, and decide for yourself if it's worth your time. Thank you for the great recap! Do you know if they will let public in today? 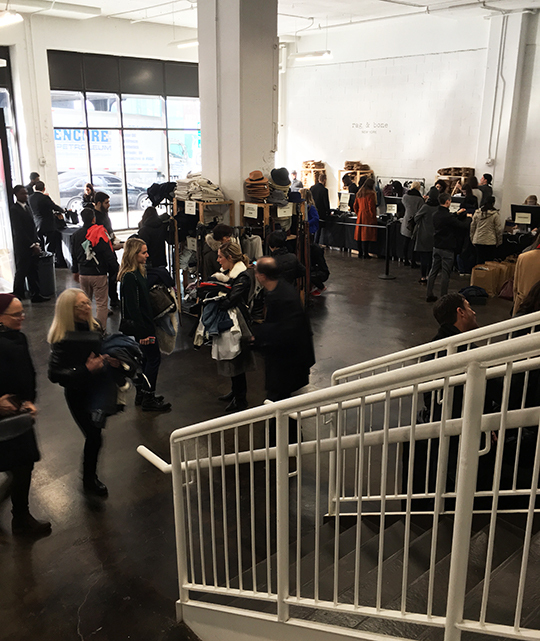 Yes, the sale is open to the public today. Yes, they had leather pants from /Jean. They were priced at $300. Will they restock boots? 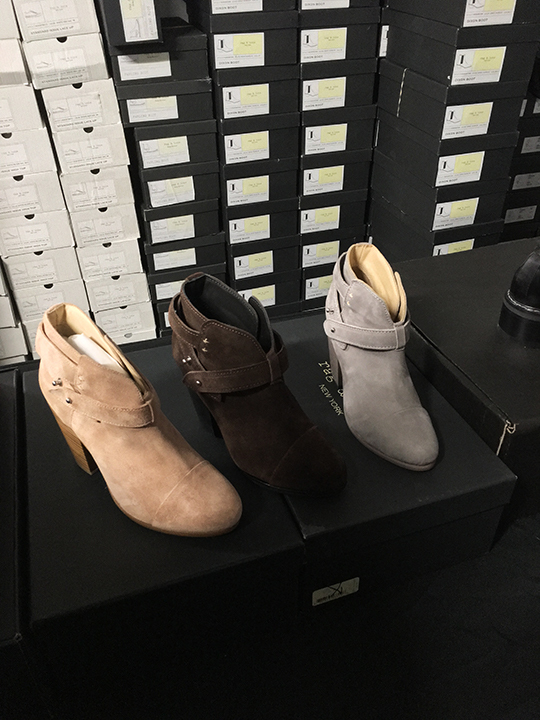 I wanted the Margot boots in Grey but they had like 2 available. Did they have any pilot backpacks? Particularly in black? No, they did not have any Pilot bags. 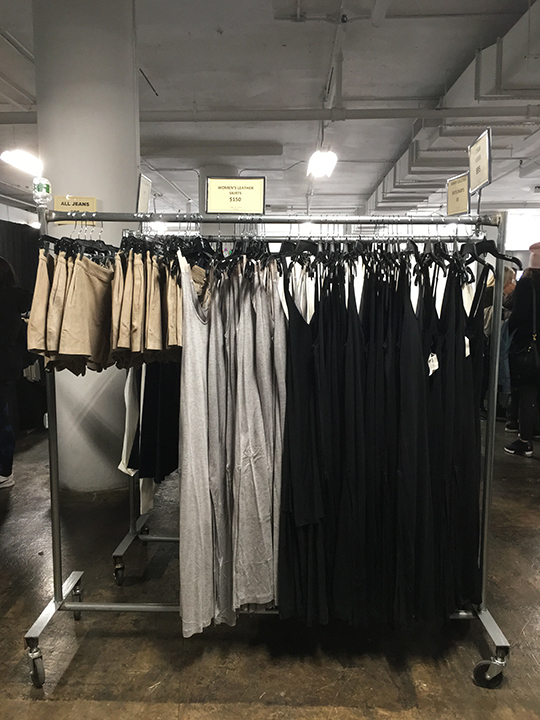 Any Bry turtlenecks or Tamara cashmere sweaters? 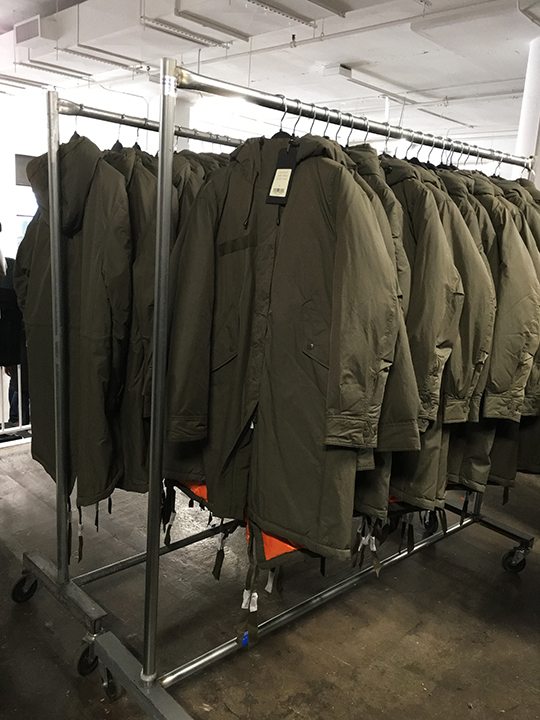 Did you see mens MA1 bomber? Thank you. No, didn't see any bomber jackets.